Yesterday I took some clients on a wine tour to the Ronda area. At the two wineries that we visited they were pruning the last of the vines. 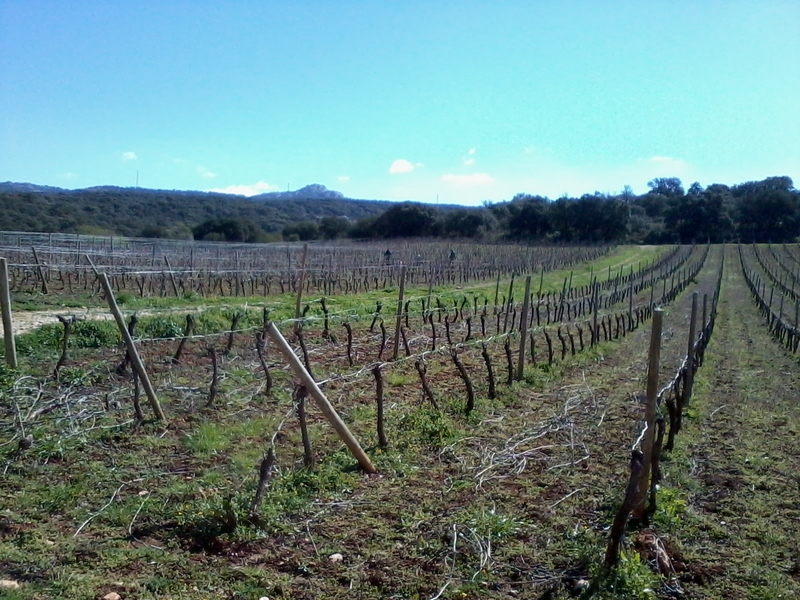 In the photo below the vines have just been pruned; you can see the vine cuttings on the ground. If you look carefully you can also see some people in the background who are still pruning. 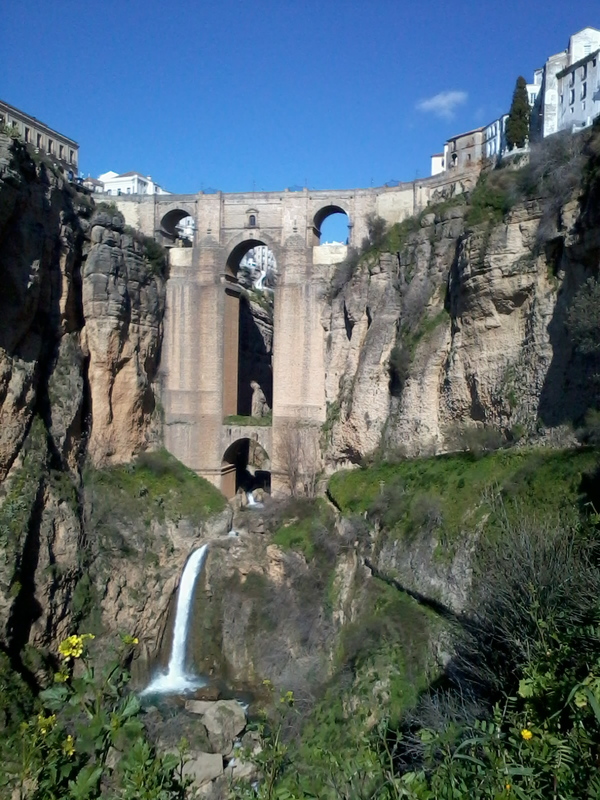 After a fine lunch in Ronda we went for a walk to get a fantastic view of the “new” bridge that spans the gorge where it is very deep. It was constructed between 1759 and 1793 and is a magnificent construction in a magnificent setting as can be seen below.